Posted in Android Apps, Apple Apps, Grammar, IcelandicTagged Android, app, cases, declension, endings, grammar, Icelandic, íslenska, nounsLeave a Comment on Icelandic Noun Master makes declensions less scary! 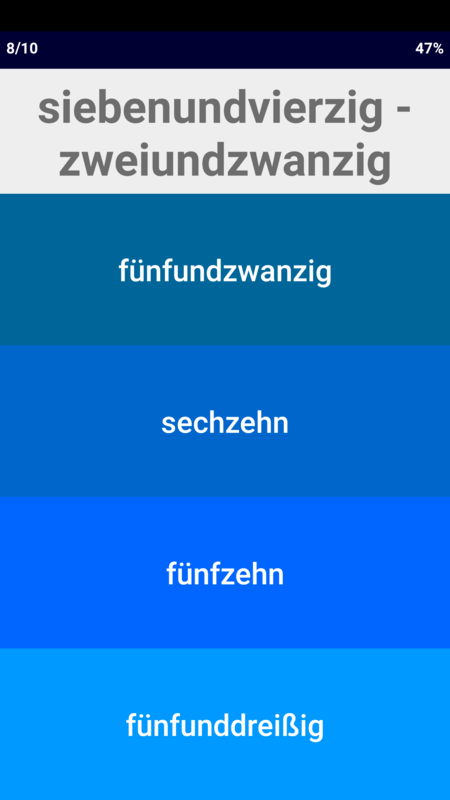 German and Icelandic have joined our growing range of Number Whizz apps! Whether you’re a beginner or a little further along in your language learning journey, mastering numbers is one of those chores that it’s tempting to keep putting aside ad infinitum (pun intended). Number Whizz focuses purely on numbers, encapsulating them into a multifunctional app featuring presentations, games for learning and even useful utilities. Test yourself at addition and subtraction in your language of choice, or tap in a huge number and see the app write it out in words for you! As always, Geoglot uses in-app ads to ensure that the Number Whizz can both be free for all Android users, keeping language learning software accessible. Posted in Android Apps, Apple Apps, German, Google Play, Icelandic, NumbersTagged Deutsch, German, Icelandic, íslenska, language, language learning, languages, learning, MFL, number, numerals, Nummern, töluorðLeave a Comment on Master German and Icelandic numbers!